In the second session of Mr. Md. Sabur Khan he mainly focused on the question answer part. Students asked some questions to him and then he spoke based on those questions. 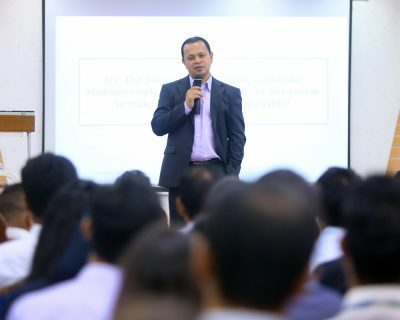 Mr. Sabur Khan also spoke with all the deans of faculties and heads of departments about the importance of the course Employability 360 degree. He told the students to be focused. The necessity of the course Employability 360 degree. 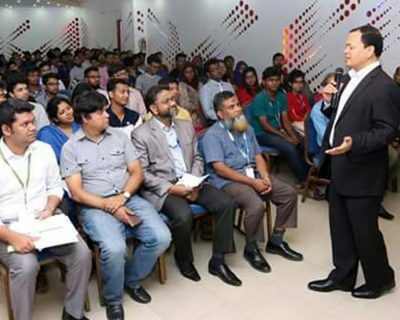 At the very beginning Mr. Sabur khan spoke to the department heads and deans of the faculties about the importance of the course Employability 360. 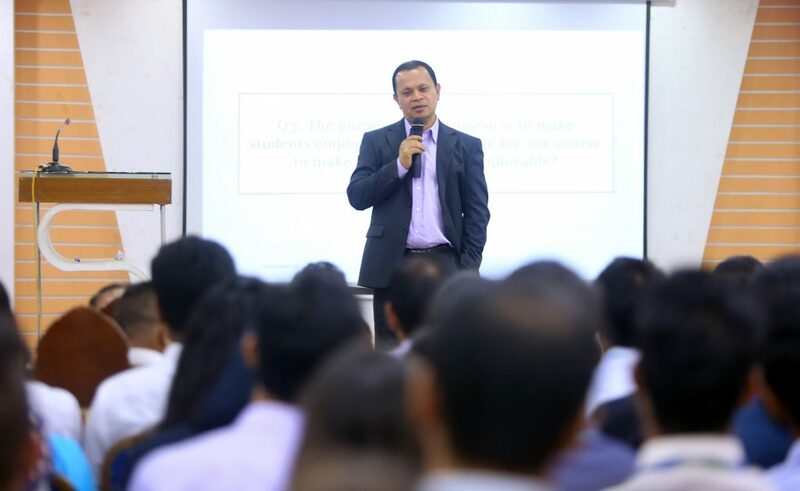 He encouraged them all to introduce the course to all the departments of the university. He emphasized on being focused. Every students need to be focused about the mission. What they want to do in future, the need to specific and single mined about their goal. Mr. Sabur khan asked all the teachers to inspire their students to be focused on their goal. 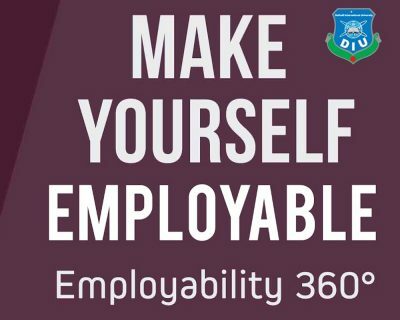 All the departments showed interest on introducing Employability 360 course in their respective departments. Students were inspired and their questions were answered.